“Sending smiles across the miles” card is sooo flippin’ adorbs. Featuring a dog in the basket of a bicycle. 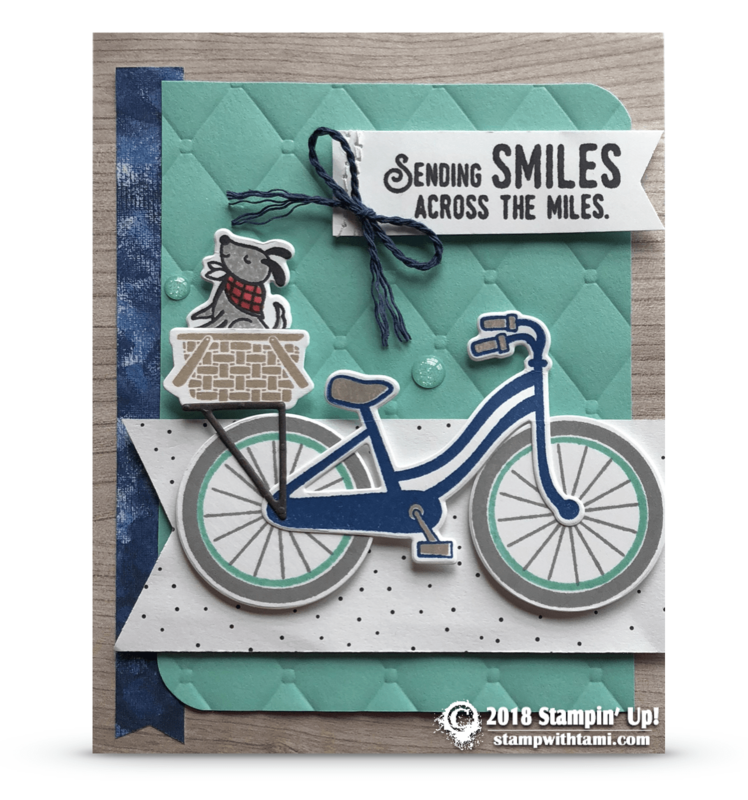 The images are from the Stampin Up Bike Ride stamp set and coordinating Build a Bike dies. the background is textured with the Tufted dynamic impressions folder. A little bling from the Glitter Enamel dots. Love this card. My daughter peddles a 3 wheel around with her little 🐶 in a basket just like this. I must make this card for her.